Action cinema defined Hollywood in the ‘80s and ‘90s. The titans of the action movement were undoubtedly Sylvester Stallone and Arnold Schwarzenegger, two box office powerhouses who fought it out for dominance, and who managed to change the conventional image of movies (and movie stars) along the way. The two were perceived as bitter rivals, often poking fun at each other in their movies, but the early ‘90s saw them join forces with Bruce Willis to launch Planet Hollywood restaurant chain. Films such as Rambo, Rocky, The Terminator and Commando used Stallone and Schwarzenegger’s bodies as the special effect – the films were built around them. Physically, it appeared there was nothing that these stars couldn’t achieve on screen. The popularity of Stallone and Schwarzenegger saw a thirst for a new breed of action star, and studios (big and small) were keen to cast the likes of Jean-Claude Van Damme, Steven Seagal and Dolph Lundgren in a variety of action films – meaning that muscle-bound action stars were appearing everywhere. There was also a niche for the ‘everyman’ action hero, as typified by actors such as Willis and Mel Gibson, who shot to screen fame in Die Hard and Lethal Weapon respectively. As the ‘90s drew on, these icons of action grew more antiquated. CGI became more dominant in the action movie, and soon audiences were more interested in the spectacle than the star. Falling Box office grosses saw many of these stars fade away, turning to the DVD market, while Schwarzenegger’s love of politics, saw him retire from the screen. It seemed certain that these stars would never regain their popularity. In 2006, after years of trying, Sylvester Stallone brought Rocky back to the screen in Rocky Balboa, the film was a critical and commercial success. Then Stallone dusted off, Rambo for another mission – another hit. 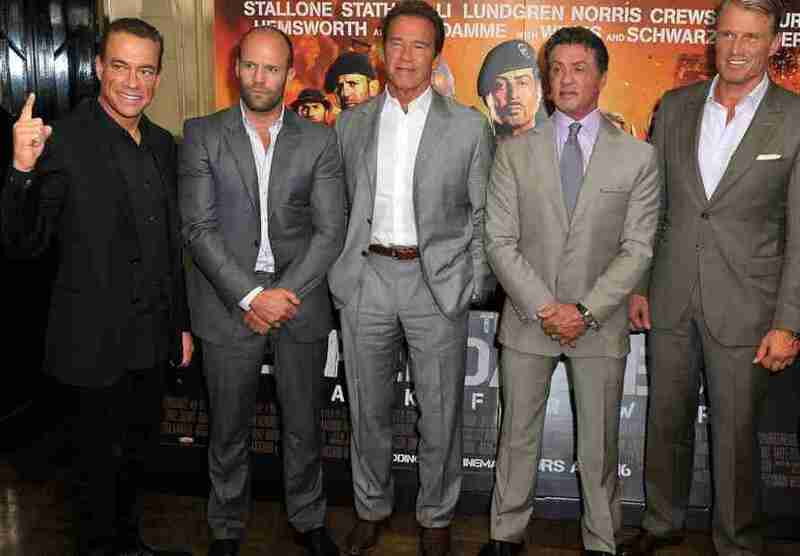 Stallone decided to unite a group of action stars for The Expendables in 2010 – this was an even bigger hit, paving the way for an even bigger, badder and better sequel . Stallone has Bullet to the Head on the way, while Schwarzenegger has The Last Stand ready for release, with Breaker on the way. The two stars will also reunite for the prison actioner, The Tomb. It looks like old school action is well and truly back.